Select the type of service you require, enter your vehicle registration number and click on the button. You will then be taken to another page to collect all other required data. We specialise in the maintenance and service of all vehicles. With all the latest tools and diagnostic equipment we are able to provide a service to meet the highest of expectations. From Audi through to Volvo our comprehensive service schedules meet all the manufacturers recommendations. All our work is guaranteed and at a fraction of the cost of any Main Agent. We are approved by VOSA to carry out MOT testing on all cars light commercial vehicles, petrol and diesel. Once you register your details with us you will automatically be entitled to a discounted MOT and a FREE MOT and Service reminder. Just some of the services JTF Motor Services offer: MOT Testing, Full Service, Interim Service, Engine Repairs, Brakes, Exhausts, Clutches, Diagnostics, Air Conditioning. Once customers are registered with us, they will be entitled to a cheap MOT forever (probably the cheapest MOT around). Our servicing is carried out in accordance with the manufacturer's recommendations and is a fraction of the cost of any Main Dealer Service. We offer one of the cheapest Service prices, starts from only £69.00 including vat. Cheap Servicing, cheap MOT, cheap repairs, car sales, exceptional customer service, comfortable reception, free wi-fi, free tea & coffee, customer toilets, what more could you ask for? Our experienced Technicians provide quality workmanship and our service advisors are knowledgeable and polite. The excellent feedback we receive from our customers assures you that we provide the best possible service in the motor trade. We are members of the Good Garage Scheme, approved by the Motor Industry Code of Practice and Trading Standards Institute, AA approved, RAC approved, approved by all leading warranty compnies and DVSA approved for MOT testing. We carry out Mechanical and Electrical repairs on all vehicle makes. Our technicians have vast experience in dealing with repairs from the smallest job to the most major. 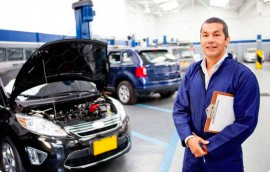 Whether your vehicle requires a simple check over, a service, a timing belt change, major engine overhaul or a complicated engine management repair we have the tools and the experience to cater your needs. Regular investment in the latest equipment and staff training ensures we can work on all the latest vehicle systems and carry out repairs on all makes and models.